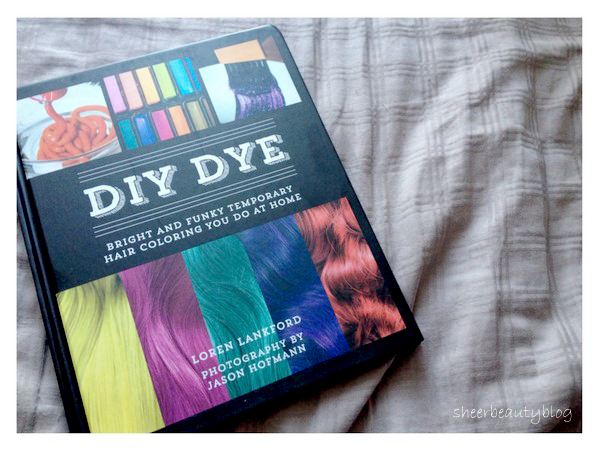 Hey today I have a blog post on a book called DIY DYE Bright & Funky Temporary Hair Coloring You Do At Home. As you can guess from the tile this book is all about dying your hair, yourself! 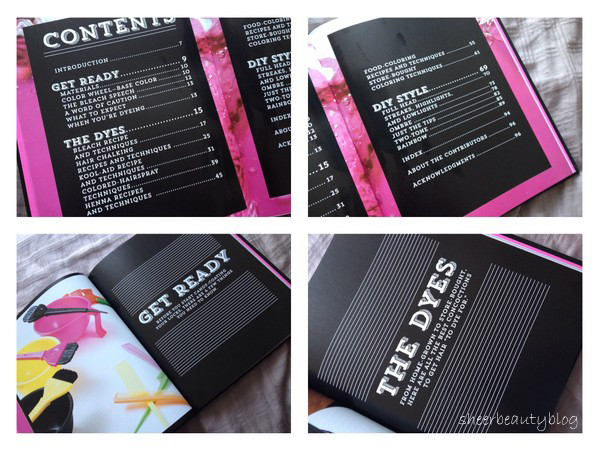 In this book there are 3 main parts: Get Ready, The Dyes and DIY Style. Get Ready talks about the steps you need to know before you jump into dying your hair, this part also talks about bleaching your hair and what to expect when dyeing your hair different colours. 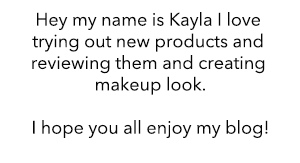 The Dyes section of this book mention different dyeing techniques like how to bleach hair, hair chalking, how to dye hair with Kool Aid (YUP you can dye your hair with Kool Aid) and much more techniques. 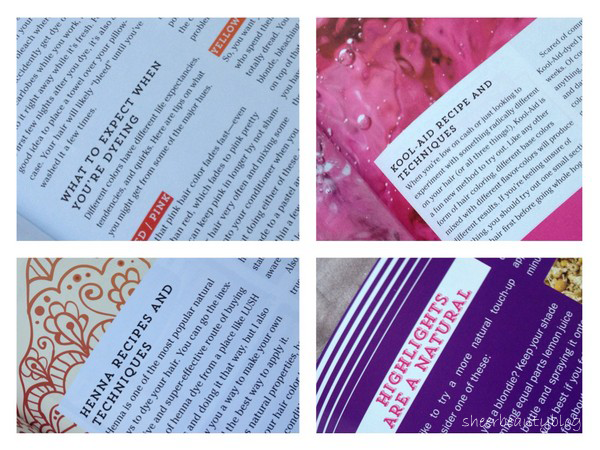 What is most interesting to me is the Henna section because I want to try Lush Cosmetics Henna Bar and this help me to better understand how Henna works. 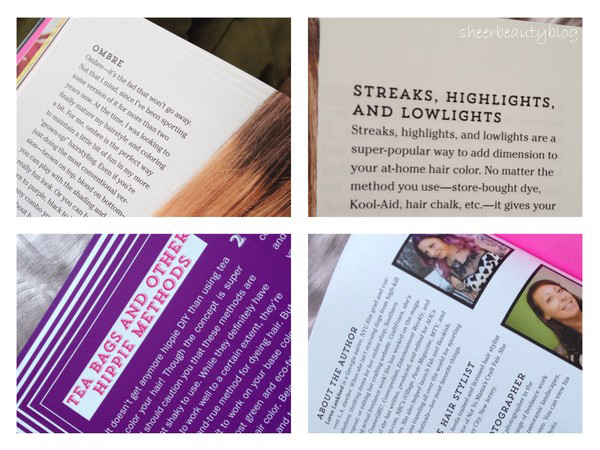 The last section of this book is the DIY Style which is all about the different styles in which you can dye your hair for example ombre and tip dye. Overall this is a good book if your looking for new and safer ways to dye your hair and also a great book to read if you have never dye your hair before and you want to. 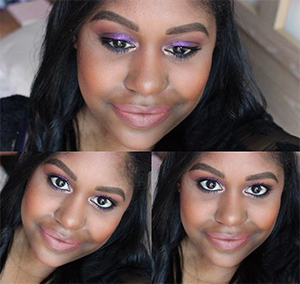 Do you think this is something you might check out?